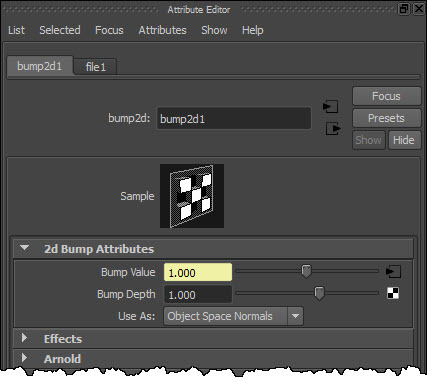 and then change bump2d > 2d Bump Attributes > Use As to Object Space Normals or Tangent Space Normals. Notice that file1 (the MayaFile node) is linked to mayaBump2D.normal_map. This entry was posted in Uncategorized and tagged ArnoldRenderer, Maya, mtoa, Normal maps by xsisupport. Bookmark the permalink.